Last week wasn’t a great one for my fantasy surprises. Andy Dalton and Roberto Aguayo had nice games, while Kenny Britt performed well but other than that, it was a wash. The crazy thing about year long fantasy football is how much of it really can come down to luck. For instance, someone out there had to of drafted their team and regardless of running backs been excited to have a core consisting of Russell Wilson, Julio Jones and Dez Bryant. Unfortunately for them, if they were in the playoffs last week, they’re most likely eliminated as that trio (with Jones out due to injury) combined for negative points in various formats. Obviously we can’t predict when big name players will have dud performances, so the best that can be done is go with those that can traditionally be counted on. QB: Joe Flacco vs Eagles: The Eagles defensive splits at home and on the road have been night and day this season. Fortunately for Flacco, the Ravens are at home for this one and he has what appears to be a favorable matchup. While he isn’t a top tier fantasy starter, Flacco would represent a solid option for those who have a quarterback such as Matthew Stafford where an injury might make some hesitant to play him. Don’t be stunned if Flacco posts a game that is one of the ten best at the position from a fantasy perspective this week. Expect around 260 yards and two touchdowns. RB: Tevin Coleman vs 49ers: Due to the uncertainty of how many touches he’ll see, I wouldn’t feel comfortable starting Coleman as one of your running backs this week. However, I think he makes for a fantastic flex option if that spot is available to you. While Devonta Freeman figures to lead the backfield in total touches, Coleman doesn’t need a ton to pay off in a big way. The 49ers rushing defense has been awful of late and when you factor in Coleman’s ability as a receiver (with Julio Jones now ruled out), there is a lot of fantasy upside to like here. Expect around 70 total yards and a touchdown. 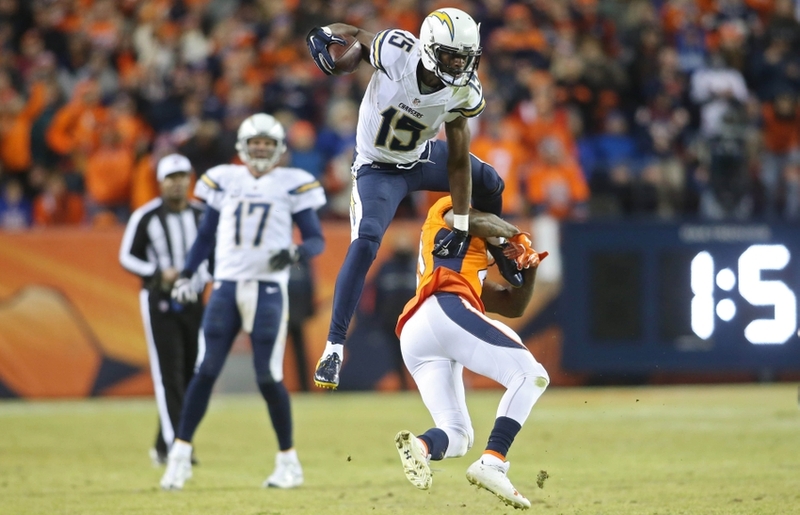 WR: Dontrelle Inman vs Raiders: It’s almost comical to this point the way Philip Rivers has shown he can put up numbers regardless of who he is throwing to. In recent weeks, Inman is a player who has seen more passes in his direction. The Raiders have shown they can be vulnerable to the pass, so in a game with shootout potential Inman is a player to watch. With what’s likely a low price tag, Inman also figures to be very appealing in any daily fantasy contests. Expect around 60 yards and a touchdown. TE: Kyle Rudolph vs Colts: There have been many weeks where a touchdown has saved Rudolph’s statline from being a fantasy dud, but there is a lot to like here. Last Sunday, the Vikings assembled what appeared to be a competent NFL offensive line allowing Sam Bradford more time to go through his progressions. On top of that, the Colts are vulnerable to opposing tight ends allowing almost 900 yards to them on the season. If you need a tight end who could be available on waivers, there are a lot of reasons to like Rudolph. Expect around 50 yards and a touchdown. K: Chandler Catanzaro vs Saints: The Cardinals regressing as an offense made Catanzaro’s fantasy stock take a dive, but he is still worth playing for matchups like these. As we all know, the Saints have shown they can be defensively challenged so there should be some opportunities in play. Expect around two field goals and three extra points. DEF: Texans vs Jaguars: This isn’t due to the Texans performing at a high level or that they’re facing off against Blake Bortles at home. Instead, it is mainly regarding how Bortles has played against the Texans. It is well documented that Bortles since entering the league has thrown 11 pick sixes, a mark that’s higher than his 10 wins as a starter. In each of his last three starts against the Texans, Bortles has managed to throw one of those pick sixes. With a banged up offensive line and the Texans needing a win, don’t be stunned if both sides come through again. Expect around three sacks and an interception. This entry was posted in fantasy football, NFL, sleepers and tagged 2016 week 15 fantasy football predictions, Chandler Catanzaro, daily fantasy football advice, Dontrelle Inman, Fantasy football, Houston Texans, Joe Flacco, Kyle Rudolph, NFL, Tevin Coleman. Bookmark the permalink.